About a two years ago, my friend and I decided to start having cooking dates to learn new recipes and share our favorites with each other. She had a recipe for Tikka Masala that she had been wanting to try. We tested it out, and I loved it! It is absolutely packed with flavor, due to the many fragrant spices in the recipe. I posted this recipe on the blog back when we first made it, and I have made it many times since. I began to realize that there was a flaw with the recipe, though. The cooking methods didn’t allow the tomato sauce to lose its tangy flavor, which is super important. Although the spices are different, this recipe is actually a lot like Nigerian tomato stew. 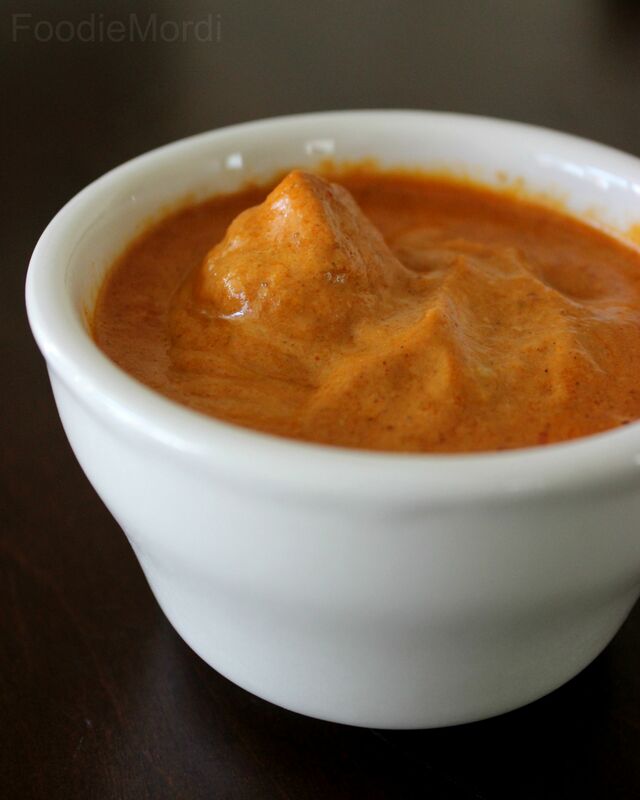 With tomato stew, the tomatoes are literally cooked from a runny slew of blended tomatoes to a thick and rich paste. Chicken broth is then added to thin it up, and make a great sauce. Contemplating both the Nigerian Stew and Tikka Masala, I determined that the cooking methods were likely to be similar, as they are in similar parts of the world. Any way, the two recipes are more likely to have the same cooking methods than they are to have Americanized cooking methods. By frying (or simmering over medium high heat) the tomato sauce from the Tikka Masala, I was also able to get a rich paste which had lost all its tartness. Once I added the cream to the sauce, it was absolutely phenomenal! I am honestly convinced that this sauce is closer to authentic Tikka Masala than the original recipe. And regardless of its authenticity, we are a bit crazy about it. Limi, who isn’t really a fan of left-over’s night, will eat this time and time again. It really is THAT good. Melt the butter in a large pot, over medium-high heat. Add onions and saute until they are translucent. Add minced garlic and fry until fragrant. Add all the spices (not the sugar) for the sauce and fry until the spices become fragrant. Add the tomato sauce and allow to simmer. Cover the sauce with a lid, to prevent spitting, and let the sauce simmer, stirring frequently, until it has reduced to a thick paste. Meanwhile, cut the chicken into bite sized pieces. In a skillet sear the chicken in oil, with the salt, curry and bouillon cubes. You want the outsides to be cooked, but still a little pink inside each piece. Add the cream and sugar to the tomato mixture, and stir until well combined. Transfer the chicken and all the juices into the tomato sauce mixture and let simmer for about 20 minutes or until the chicken is no longer pink.